Food and Education: A “Soup”er Connection! Ernest Hudson was born and raised in Seaford, DE to Elizabeth and the late Ernest S. Hudson Sr. He is the youngest of four and a first-generation college graduate. At the age of 13, Ernest often cooked for his family. Creating and experimenting with box pancake mix by adding additional ingredients to it. The same could be said for Hamburger Helper. Canned corn and peas mixed with it became a hit! Slicing multiple horizontal lines on a hotdog before it was put onto a sizzling hot pan was his introduction to gourmet cooking. At least he thought so as a teenager. In fifth grade Ernest was asked to do Show & Tell. Kids were bringing in rocks, their dad’s rabbits foot, or a favorite marble. Ernest brought in cooking supplies and ingredients with the help of his father. His Show & Tell consisted of cheesesteaks and French fries for the class. The class loved it. Cooking and teaching became his passion. Ernest’s first job was at the age of 14 as a cashier/prep cook at Bargain Bill’s Restaurant and Flea Market. He graduated from Woodbridge High School and went off to play football and pursue a bachelor’s degree at Delaware State University. Ernest finished with a degree in Hospitality and Tourism Management. A few months later he decided to teach. After being hired in the private sector and additional college courses, he became state certified to teach. Teaching and working with numerous educators and students has opened his eyes greatly. Ernest believes that there are endless ways to innovate and create intriguing learning connections amongst our youth. He has spent 10 years teaching in Delaware until recently moving to Maryland to continue his career. In 2014 Ernest decided to start a learning service that teaches students cooking skills and academic tutoring. 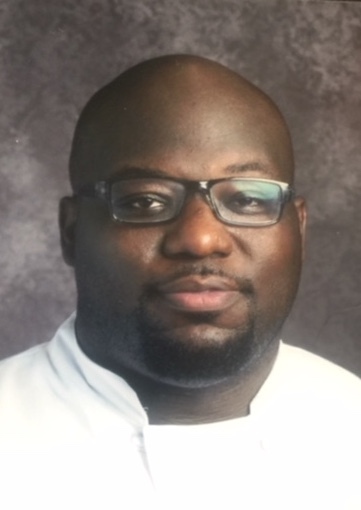 Because of that Ernest was named the 2015 ProStart Educator of Excellence for Delaware by the National Restaurant Education Association Foundation. This award is given to educators who are connecting students to the food industry inside and outside of the classroom. That same year, 2015, Ernest was nominated to be named in the Delaware’s 40 under 40 by Chains, INC.